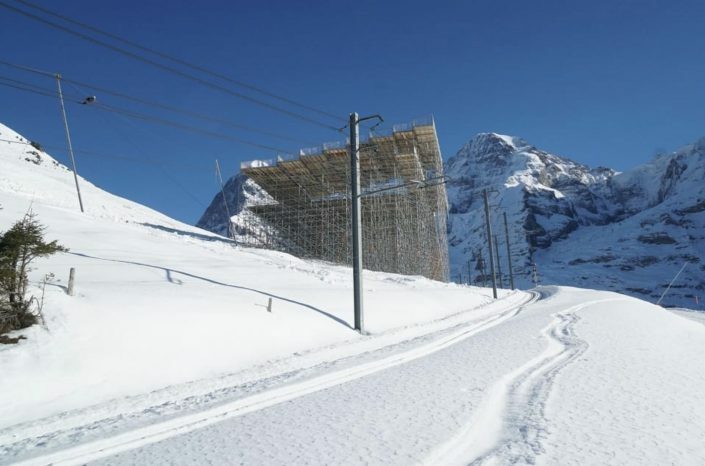 Dazzling sun reflecting off the snow, the faces of the Jungfrau and Eiger mountains that seem to blend into a cobalt blue sky, which is criss-crossed by vapour trails from jets of the Patrouille de Suisse aerobatic team, as they swoop and swirl above a colourful audience watching from the stands and along the edges of the Lauberhorn piste. 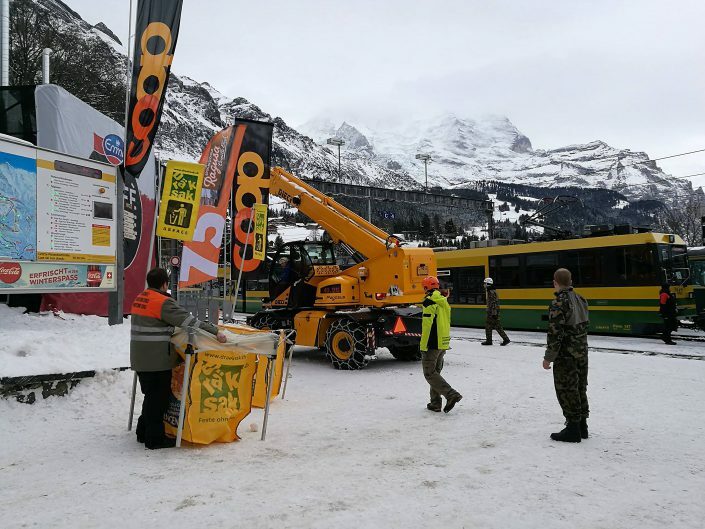 It is a spectacle that has been repeated every year since 1930 in Wengen, Switzerland, on the opening day of the Lauberhornrennen, one of the most prestigious alpine races of the World Ski Championships. 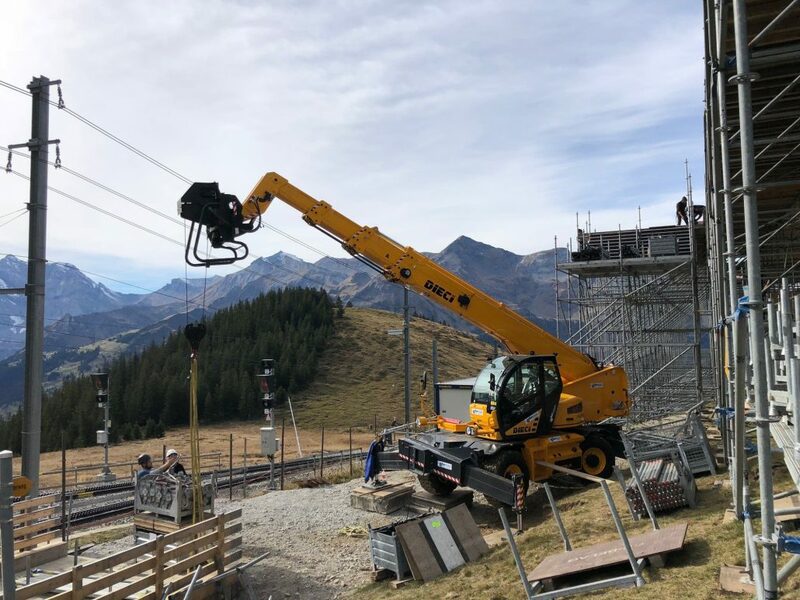 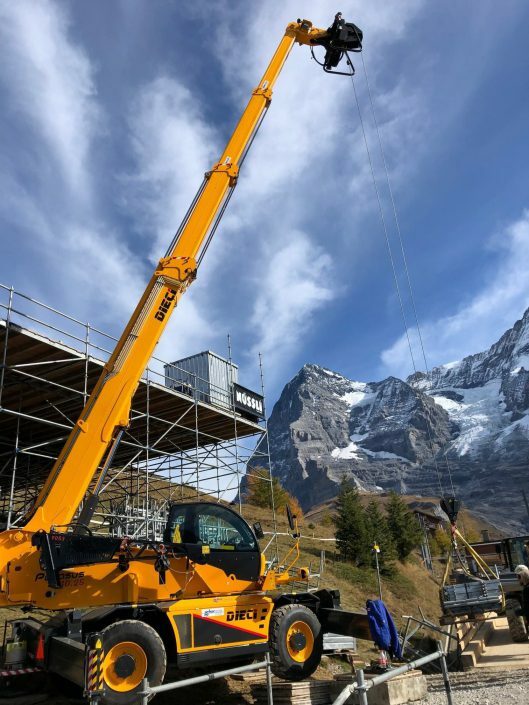 Preparations for holding races on the slopes of the Lauberhorn continue all year round, because everything must be ready, tested and fully functional before the start of the three-day races (held on 18–20 January 2019). 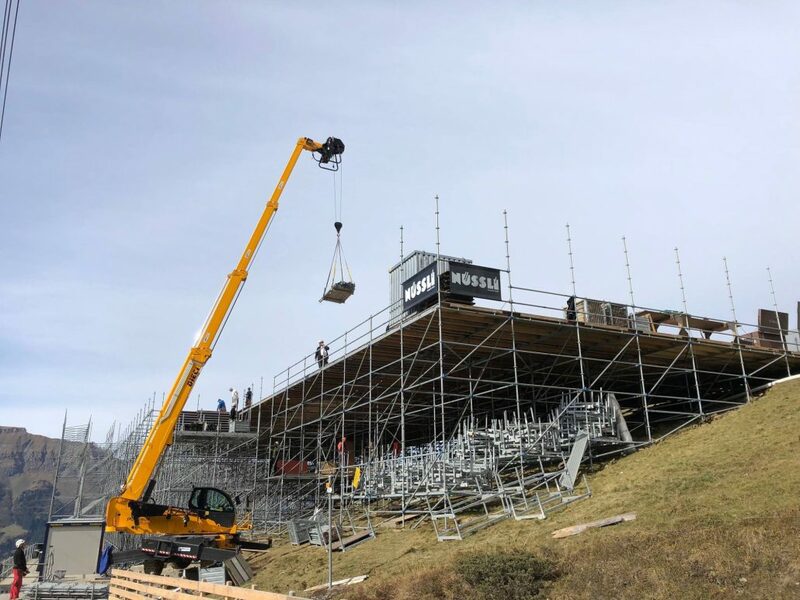 We can only imagine the amount of work that goes into preparing the races: some 500 volunteers have been working to prepare the event since September, but certain jobs require experienced professionals. 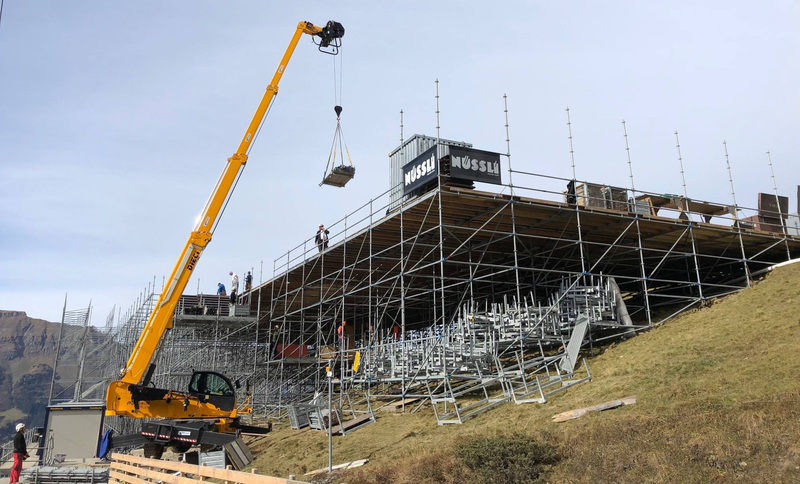 They include the construction of the VIP grandstand, which this year has been entrusted to the Nüssli Group, a company specialising in the construction of temporary structures for major international events. 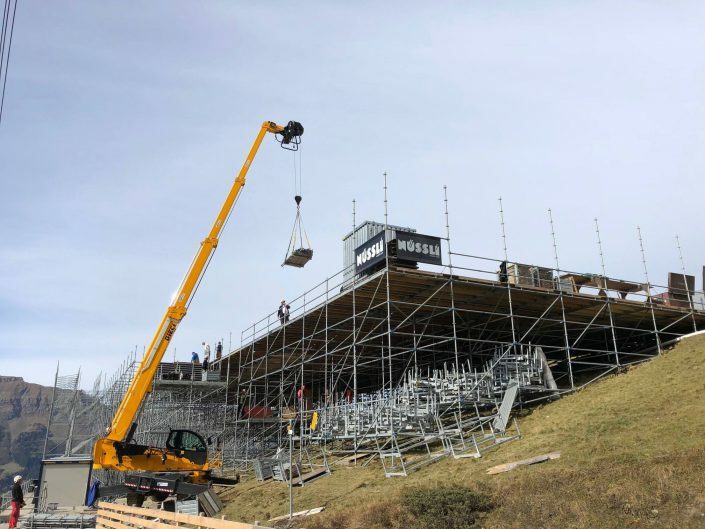 Last September, a team of 22 Nüssli staff began building the VIP grandstand, an impressive structure weighing 150 tonnes and capable of seating 570 people.